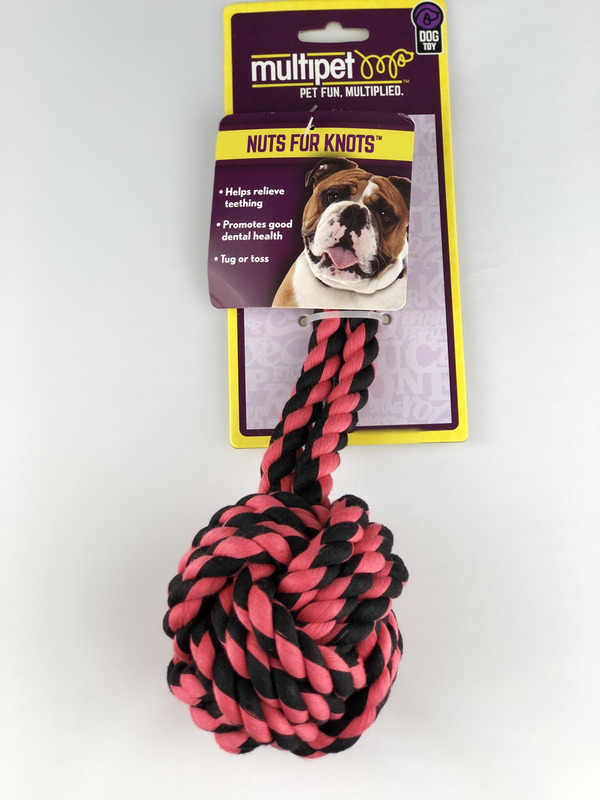 Nuts for Knots™ with Tug 3.5"
If your dog is nuts for knots then it is time you get the MultiPet Nuts for Knots Knotted Rope Dog Tug Toy. The MultiPet Nuts for Knots Knotted Rope Dog Tug Toy is a woven ball of rope that is durable and will stand up to the toughest chewer. The tug at the end of the knot is great for some rough fun and great for tossing. Let you dog go nuts for knots with the MultiPet Nuts for Knots Knotted Rope Dog Tug Toy. The rope weave aids in removing plaque while playing.